Marvel Consulting Group respects your right to privacy and is committed to safeguarding the privacy of our clientele and website visitors. We adhere to the Australian Privacy Principles (APPs) contained in the Privacy Act 1988 (Cth). This policy sets out how we may collect, store, use, treat and disclose of your personal information.  Our organisations provide financial services including accounting, taxation, finance, credit and business advisory. It will be necessary for us to collect personal and sensitive information from you in order to provide a competent high quality service. Given our industry, confidentiality is paramount, most important first consideration in rendering all of our services. You have the right to not provide us with personal or sensitive information however it will likely mean we will not be able to provide you further services. Common principles within these codes include honesty & Integrity, independence, confidentiality and professional competence. Marvel Consulting Group will, from time to time, receive and store personal information you enter onto our website, provided to us directly or given to us in any other form. You may provide basic information such as your name, phone number, address and email address to enable us to send information, provide updates and process your product or service order. We may collect additional information at other times which may be sensitive in nature, including but not limited to, when you provide feedback, when you provide information about your personal or business affairs, dates of birth, tax file numbers, identification documentation, change your content or email preference, respond to surveys and/or promotions, provide financial or credit card information, or communicate with our customer support. If you do not provide your information to us, it may not be possible to assist you nor provide our services. We reserve the right to cease providing our services. Some law may require us to collect personal information about you. For example, we may require your information to verify your identity under Australian Anti-Money Laundering & Counter-Terrorism Financing Act 2006, Taxation Administration Act 1953, Taxation Administration Act 1997. Marvel Consulting Group may use personal information collected from you to provide you with information, updates and our services. We may also make you aware of new and additional products, services and opportunities available to you. We may use your personal information to improve our products and services and better understand your needs. Marvel Consulting Group may contact you by a variety of measures including, but not limited to telephone, email, SMS or mail. We may disclose your personal information to any of our employees, officers, insurers, professional advisers, agents, suppliers or subcontractors insofar as reasonably necessary for the purposes set out in this Policy. Personal information is only supplied to a third party when it is necessary for the completion of our services. We may also use your personal information to protect the copyright, trademarks, legal rights, property or safety of Marvel Consulting Group, its websites, its customers or third parties. We are unlikely to directly disclose your information to organisations overseas. We may store your information in ‘the cloud’ or other similar types of networked or electronic storage outside of our physical premises. To this end the information collected may from time to time be stored, processed in or transferred between third party cloud service & storage providers located in countries outside of Australia. These may include, but are not limited to the United States of America. Further as electronic or networked storage can be accessed from any location via a secure internet connection, it’s not always practicable to know in which country your information may be held or accessed. All electronic or networked data resources are chosen based on the highest level of security protocols and control. Access is limited to an on a need to know basis only and secured where possible using multi-factor credentials. Our internal IT policies control access. Marvel Consulting Group is committed to ensuring that the information you provide to us is secure. In order to prevent unauthorised access or disclosure, we have put in place suitable physical, electronic and managerial procedures to safeguard and secure information and protect it from misuse, interference, loss and unauthorised access, modification and disclosure. You may request details of personal information that we hold about you in accordance with the provisions of the Privacy Act 1988 (Cth). A small administrative fee may be payable for the provision of information. If you would like a copy of the information which we hold about you or believe that any information we hold on you is inaccurate, out of date, incomplete, irrelevant or misleading, please email us at privacy@marvelconsulting.com.au. The confidentiality of your information is our highest priority. Changes will not undermine this notion and merely be to allow necessary processes in providing services to you. Our site may from time to time have links to other websites not owned or controlled by us. These links are meant for your convenience only. Links to third party websites do not constitute sponsorship or endorsement or approval of these websites. Please be aware that Marvel Consulting Group is not responsible for the privacy practises of other such websites. We encourage our users to be aware, when they leave our website, to read the privacy statements of each and every website that collects personal identifiable information.